Now only $59, regular price $98. Defy your age with this luxurious, high-performance serum to help revive the skin’s youthful glow. 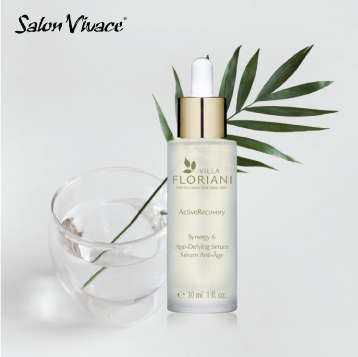 Powered by Villa Floriani’s unique Phyto-Curactive™ complex blend, active, bio-certified botanicals work together to help minimize six visible signs of aging. Particularly effective on dry, mature skin, the intensive serum replenishes skin’s moisture levels, helps lift, tone and add suppleness while minimizing the appearance of fine lines and wrinkles.